Caring for your own lawn for the first time? Or maybe you're just trying to remember the proper term for when you cut the grass too low and it turns brown. No matter what lawn term you're looking for, we're here to help. Search this lawn glossary for terms you'll need to maintain a beautiful and healthy lawn. Aeration is the process of removing cores or plugs from your soil to create small air pockets that allow for more air, water, and nutrient movement in the root zone. This is optimal for a healthy lawn and should be followed by topdressing with an organic compost. Watch a video demonstration on how to aerate here. Compost is created from a combination of natural materials that completely decompose to become organic matter rich in nutrients for building soil structure and plant health. 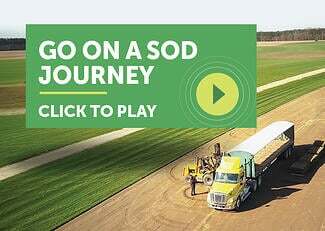 We produce Soil3 organic compost, an exclusive mix by Super-Sod, on our farms and use it to amend soil before laying sod, for planting a lawn from seed, and after a lawn is established for topdressing. Fertilizer is a substance that increases the fertility of your soil and can be chemical or natural. It’s important to apply a prescribed amount according to the results of a soil test and within the best fertilization window for your lawn. 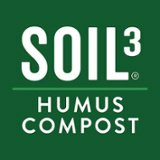 Soil3 compost can be spread on your lawn in place of one fertilizer application. Chemical fertilizer labels display a three-number ratio (ex: 16-4-8) that is the nutrient analysis in that type of fertilizer. Fertilizer “macronutrients” and their chemical symbols are nitrogen (N), phosphorus (P), and potassium (K). You will use these numbers to calculate how much fertilizer your lawn needs. The pH of your soil is critical for lawn health. Soil pH determines how well a plant can absorb nutrients. Even if your soil contains all the right nutrients, incorrect pH means the grass cannot take them up efficiently. Increase your pH knowledge and learn how and when to adjust pH in your lawn. Topdressing is the process of spreading a thin layer of soil over a lawn. 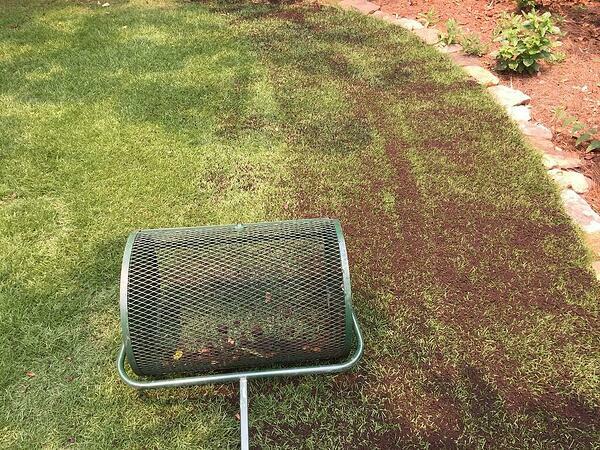 There are two types of topdressing: topdressing to apply compost for nutrients and topdressing to level a lawn. Click their respective links to learn more about each. Topsoil is the uppermost layer of soil above the bedrock and full of the most nutrients. 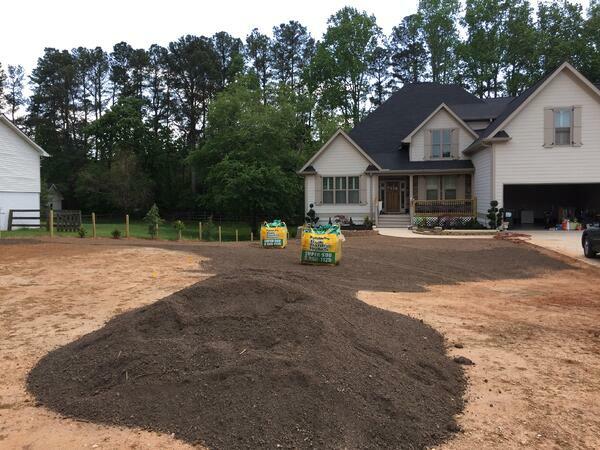 It contains organic matter, but the native topsoils of the southeastern United States typically do not have enough organic matter in their topsoil to sustain a healthy yard. That’s why we recommend amending topsoil with compost before installing sod. With presumed origins in Africa, Bermudagrasses are widespread across the world because of their love for hot weather and rapid growth habit. Most widely available Bermudas are hybrids bred for favorable characteristics. Released to the commercial market in 2015, TifTuf Bermuda is a hybrid superior in drought tolerance and other performance factors compared to other Bermudas. We offer TifTuf and Tifway Bermuda sod. 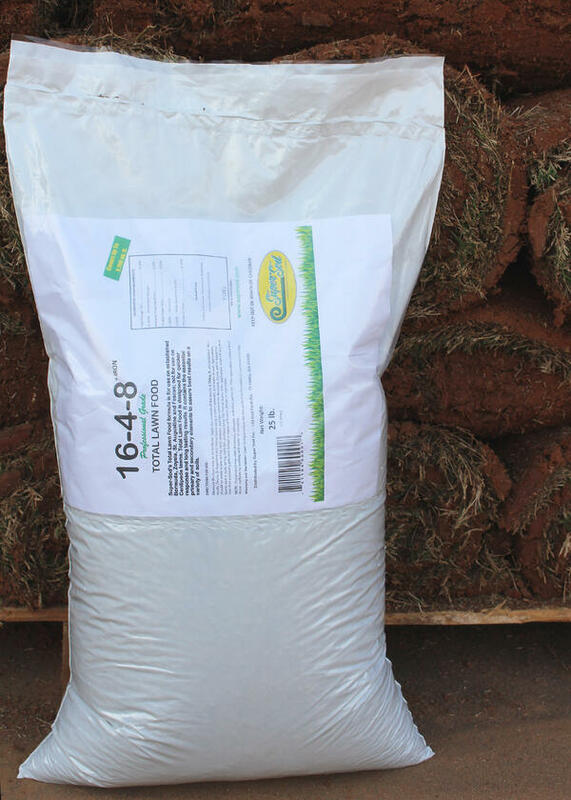 Centipede is a warm season grass variety available in both seed and sod form. It has a medium texture and slow growth habit that can be highly aggressive. We offer TifBlair Centipede as both seed and sod. Cool season grasses are best adapted to cooler climates and tend to keep their green color year-round. You should avoid planting cool season grasses in the summer, as water requirements are higher and survival requires more attention. 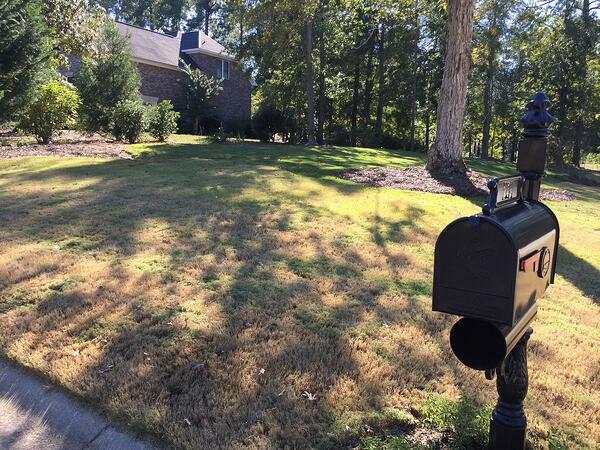 Tall Fescue is a perfect example of cool season grass that can be grown in Zones 3a - 7b. The underground roots. They grow deeply and are great natural water filters. Creeping aboveground roots, often referred to as runners. These are what you can see spreading and what make our warm season lawns so great at filling in to repair damage. 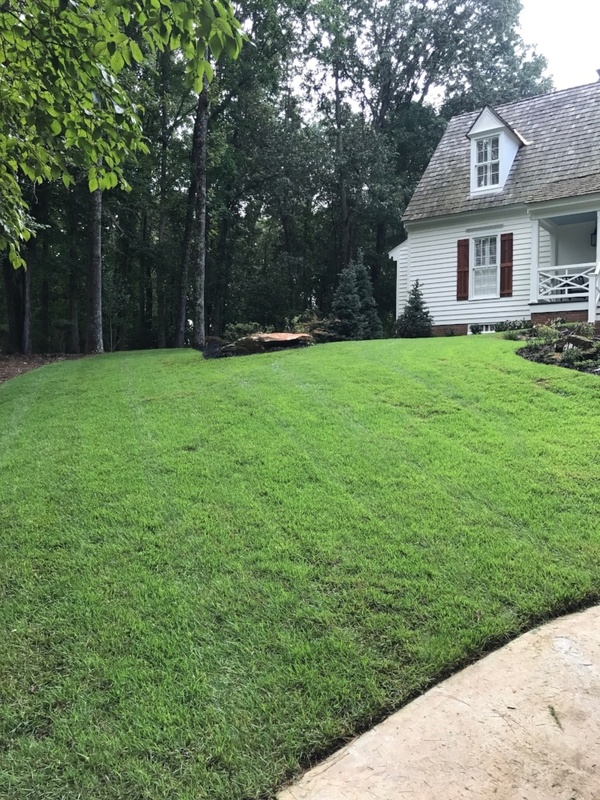 Tall Fescue is a cool season grass variety that is best adapted to cooler climates in the Upper South and serves well in areas of higher elevation. Best for planting in the fall and winter, Tall Fescue is available as seed and sod. Our Elite Tall Fescue seed blend is hand-picked with consideration for green coloring, drought tolerance, and disease resistance. Several of the available grass varieties are hybrids. Because these grass types have been bred for favorable characteristics, they cannot reproduce by seed and only produce vegetatively. 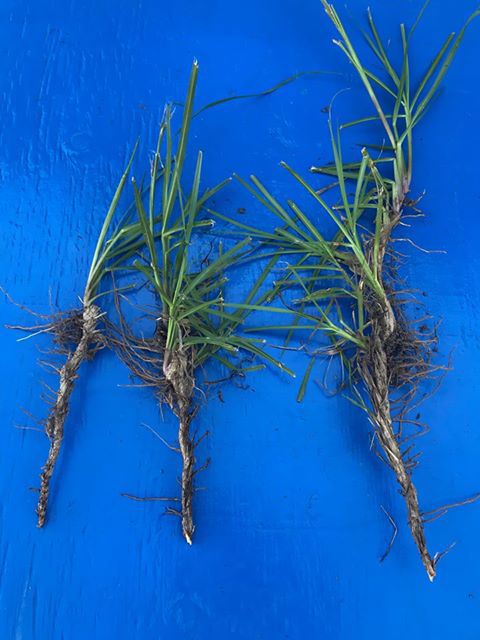 Vegetative reproduction in grass is accomplished when grass is sprigged, plugged, or sodded. With origins in Asia and Africa, warm season grass types thrive and grow in the warm months. They maintain a green color in the spring and summer and begin to go dormant once nighttime frosts begin in the fall. 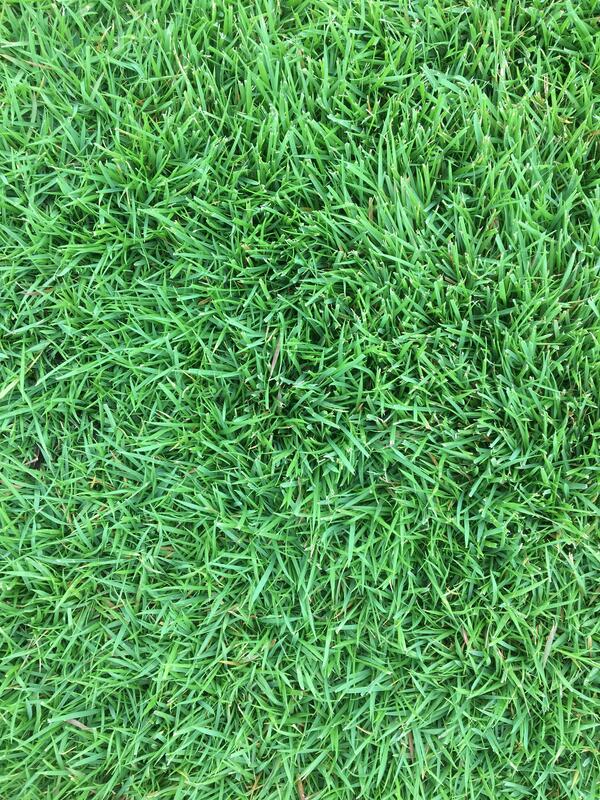 These attractive turfgrasses include varieties such as Bermuda, Zoysia, and Centipede. Zoysia is a variety of grass known for its slow, thick growth pattern. 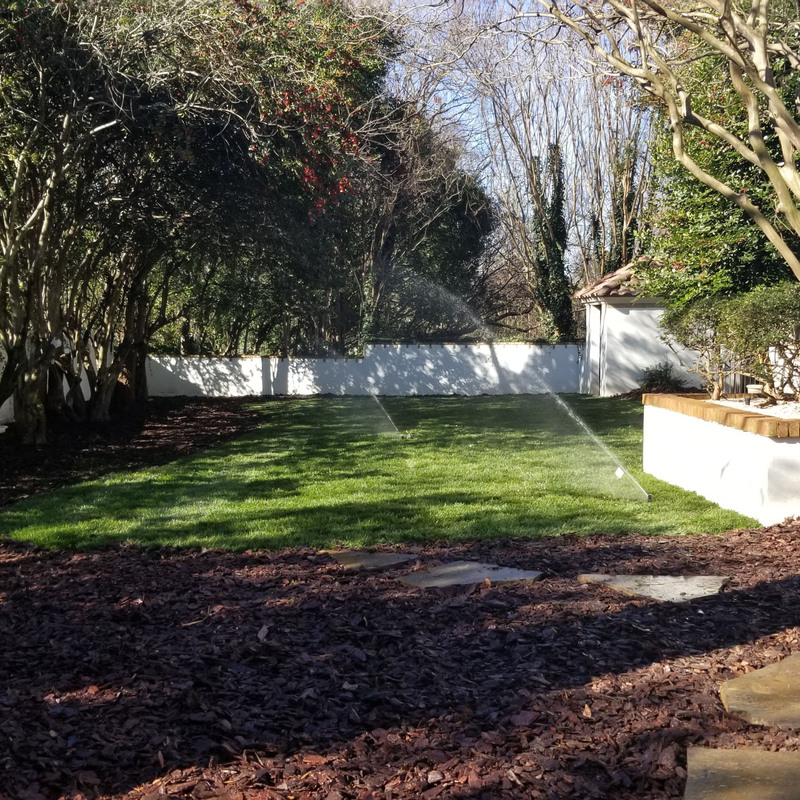 Because Zoysia grasses grow slowly, choke out weeds, and offer heightened shade tolerance over other warm season grasses, they’re considered the superior grass on the market. 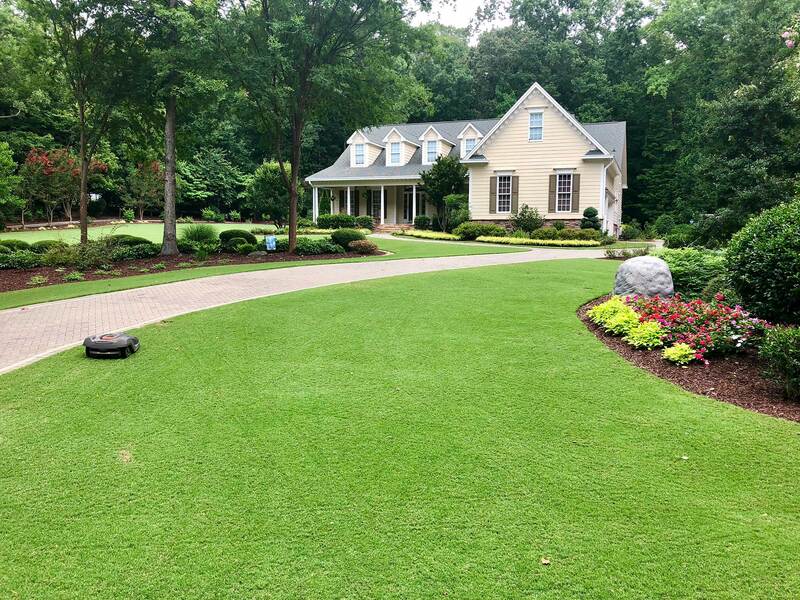 We offer four types of Zoysia sod: Emerald, Leisure Time, Zenith, and Zeon. Zenith is the only type of Zoysia that can be grown by seed. Emerald, Leisure Time, and Zeon reproduce vegetatively. Reel mower uses scissor-like motions as blades spin vertically to cut the blades of grass. 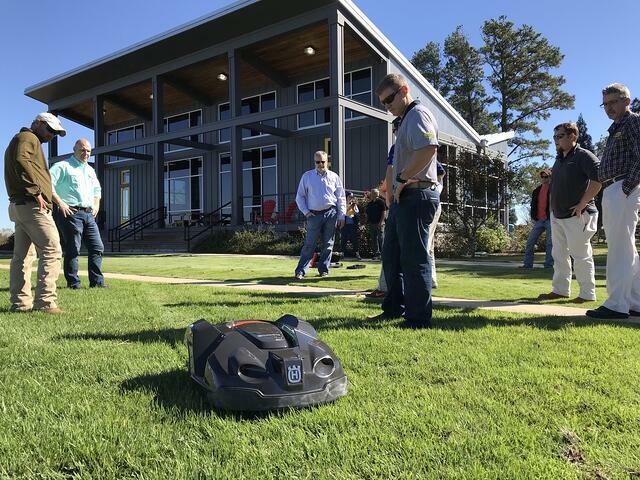 An autonomous machine that’s mows a lawn without requiring the physical presence of a human to control it. One example is Husqvarna Automower. – A rotary mower contains blades that spin horizontally. Most average homeowner riding mowers have rotary blades. 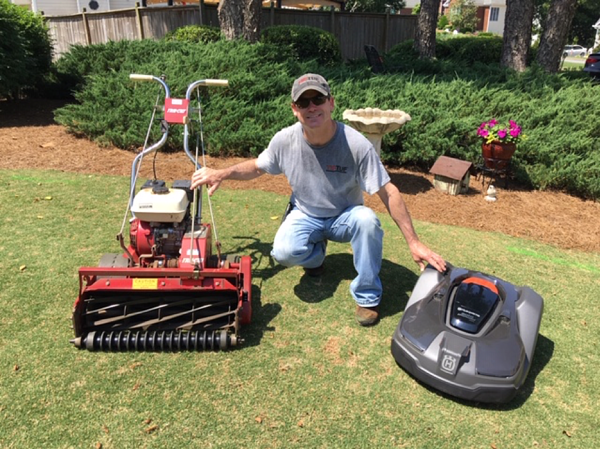 Scalping your lawn is the result of mowing more than 1/3 of the blade at one time. This cuts the grass blade off at the growing point of the grass and causes the grass to appear dormant or brown during growing season. Thatch is accumulated living and dead plant materials that form a layer in between your soil surface and the green leaves of your turf. 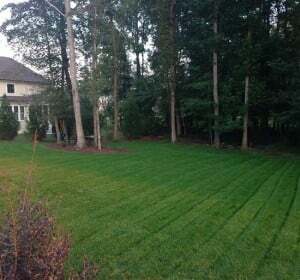 If it gets too thick, thatch can become harmful for your turf and should be removed, preferably before your warm season lawn has completely greened up for the spring. An insecticide is any substance that is toxic to insects. Because pests such as fall army worms, sod webworms, grubs, and two-lined spittlebugs can cause damage to your lawn, insecticides may sometimes be necessary. Always read and carefully follow the label instructions when applying an herbicide to your lawn. Fungicide is a treatment applied to your lawn to a) prevent fungus problems or b) treat existing fungus problems. As we say, “an ounce of prevention is better than a pound of treatment” and taking measures to prevent fungus is a worthy investment in your lawn. Click here to see lawn maintenance schedules and when you should apply fungicide to your lawn. An herbicide is any substance used to kill plants – wanted or unwanted. 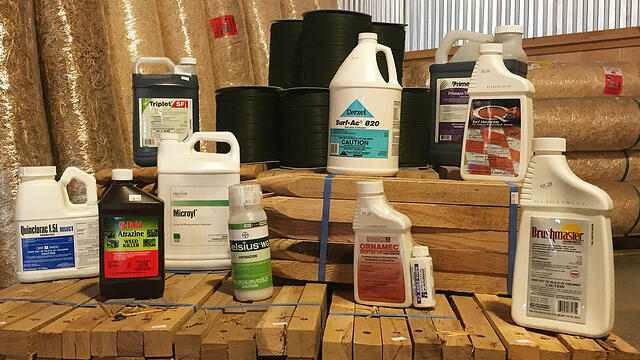 Whether natural or chemical, always use herbicides in accordance with detailed instructions on the packaging to ensure you and your vegetation remain healthy. Non-selective herbicides are not picky about which plants they kill. Applying a non-selective herbicide means this substance will work to kill any vegetation it touches, including your grass. When trying to completely clear an area, it may take more than one round of herbicide to kill all existing vegetation. Most herbicides used for lawn maintenance are selective, meaning they are created for killing specific types of plants but will not harm others. 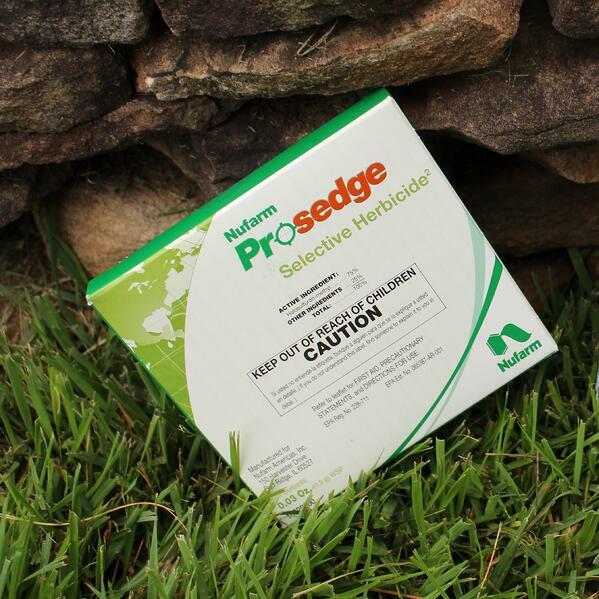 When choosing a selective herbicide, ensure that the label says it is safe to treat weeds in your grass type. – Pre-emergent herbicides kill weed seeds before they have a chance to germinate for the season. To prevent weeds in your lawn, apply pre-emergents to prevent winter and spring weeds. Learn more about timing pre-emergent application here. If you’re already starting to see weeds, it’s too late to apply pre-emergent. Post-emergent herbicides kill weeds once they have already germinated and sprouted for the season. To eliminate weeds with post-emergents, first identify the weed and look for a treatment option that is safe for your grass type. Read about safely using post-emergent herbicides here. A product typically referred to as “weed and feed” contains both herbicide and fertilizer. While this provides nutrients and suppresses weeds simultaneously, you must be especially careful about the amount you apply and time of year which you apply it. Learn the precautions to take when applying weed and feed to your lawn. 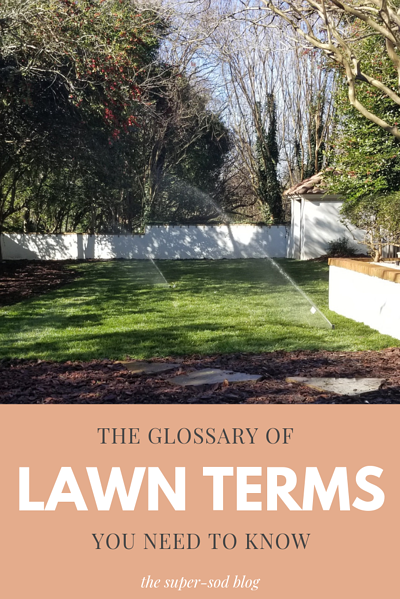 Now that your mind is filled to the brim with lawn terminology, you're ready to tackle your lawn maintenance challenges! Find the maintenance guide for your grass type here. Better yet, subscribe to our Monthly Lawn Tips newsletter to get specialized recommendations for your grass type and location each month. 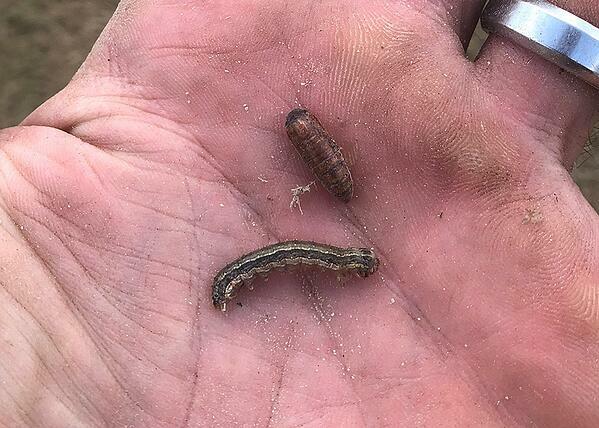 Pre-Emergent, Post-Emergent, and Weed & Feed: What’s the difference? Did this help you out? Have any questions for clarity? Leave a comment below!